HOTPOINT WMF760 Silver soap tray sticker with wash programs. Electrolux EOB53000 X Fascia sticker set for worn fronts. 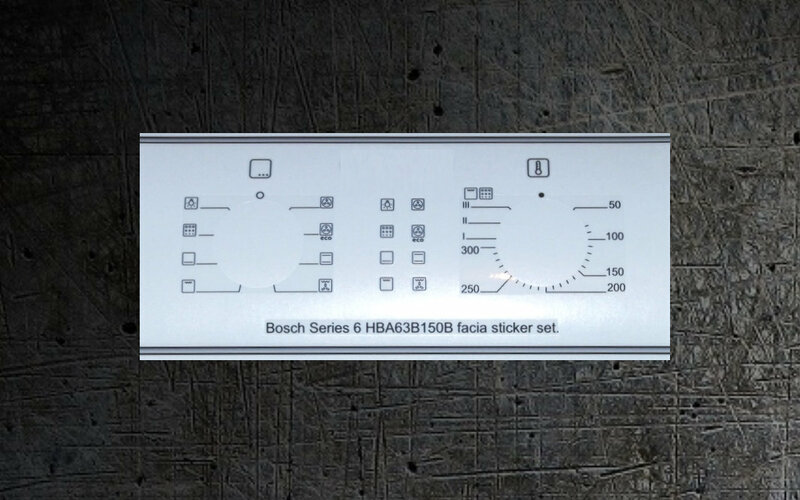 Bosch oven, cooker decal sticker sets for worn facias. Bosch HBA13B150B decal sticker set for worn fronts. Bosch HBA43B251B sticker set for worn fronts. Bosch HBA63B150B decal sticker set for worn fronts. Bosch HBC84E653B others Oven/Microwave fascia sticker set. Bosch HBE5451UC decal sticker set for worn fronts. 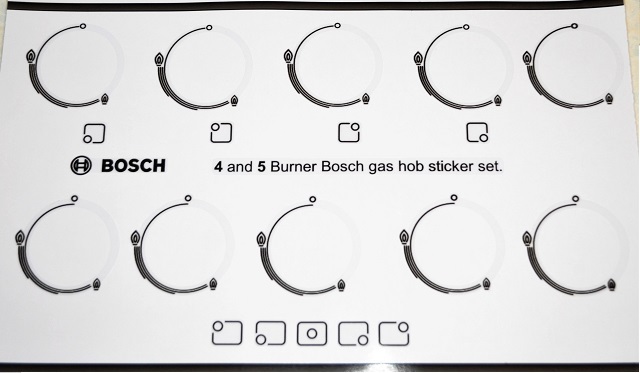 Bosch HBN455 BGB/01 sticker set for worn fronts.